FAB X – The Natural Energy You Want, Without the Calories! FAB X Forever Active Boost Energy Drink provides a healthy alternative including vitamins, amino acids, and electrolytes without the calories, sugar or carbs. Do you ever wish you had more time to achieve your goals? Your time is your most valuable resource and having enough energy to power through your day can help you achieve what you desire. FLP created FAB X to help you stay aligned with your health and fitness goals, while still enjoying the same great taste and benefits you have come to expect from FLP. Not only is an immediate, quick energy boost necessary at times, but long term energy without the crash helps propel you through your busy lifestyle without compromising your fitness goal. No calories, no sugar and no carbs make FAB X the perfect go-to drink when you crave a refreshing pick-me-up. Guarana, a natural ingredient, contributes to the immediate effects of FAB X, while the long term energy is fueled by ADX7 Technology, a proprietary blend of adaptogenic herbs, vitamins, amino acids and electrolytes formulated by a leading sports scientists. The endurance, concentration, energy and vitamins you’ll get from FAB X will revitalize you and help boost your productivity without the sugar and calories. 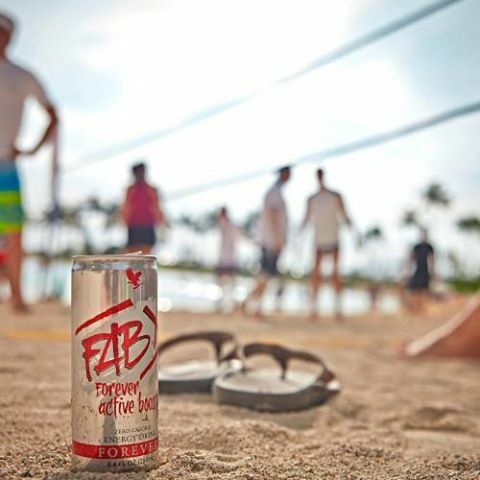 Everyone needs an occasional energy boost and FAB X provides a healthy alternative you can enjoy with confidence.